Bringing experience, empathy and enthusiasm to the creation of a personal ceremony that is perfect for you. For an initial obligation-free consultation contact 0404 476 568 or jannesverdloff@gmail.com. Celebrate life! I am a Sydney based full-time Marriage Celebrant and Funeral Celebrant who creates and performs bespoke wedding and authentic funeral services, along with a range of other ceremonies including commitment ceremonies, naming ceremonies and renewal of vows. I work collaboratively to write the ceremony that is just right for each client and that creates the space and atmosphere to celebrate life as it should be celebrated. 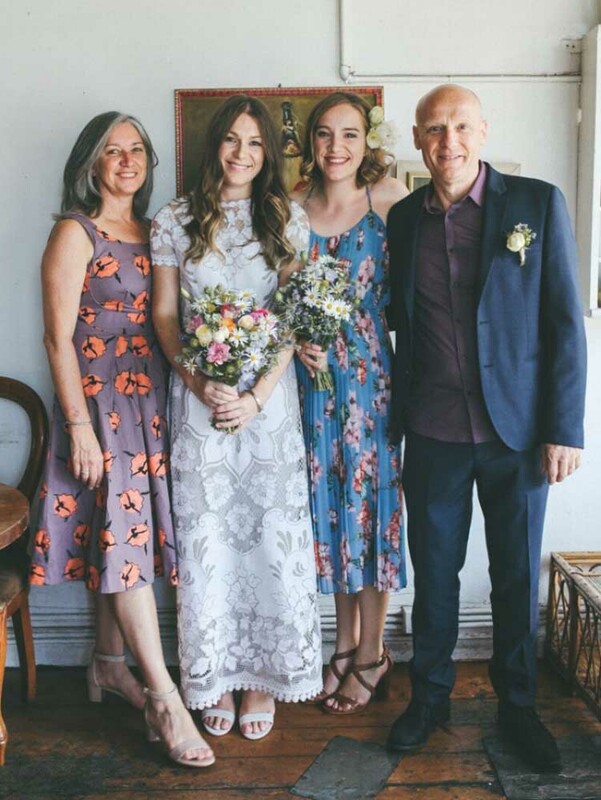 I am very lucky and grateful to have a wonderful family of my own, my husband Tim and two beautiful daughters Emma and Michelle and one exquisite granddaughter, Isabelle. As a teacher of Drama, Dance and English I enjoyed an inspiring career while developing the empathy, skills and confidence for my work as a marriage celebrant. I have travelled extensively and followed my interests in yoga, swimming, singing and a general love of outdoor activities. With my experience in the arts and education, I know how to organise an event, to make people feel at ease and to cater to the individual. My personal life experience has prepared me well to offer the support necessary for people undergoing a life celebration such as a wedding or funeral. For more than a decade, I have lived in the Inner West of Sydney and prior to that I spent 15 years in the Blue Mountains. I have a strong connection with both locations and am happy to travel wherever as the need arises. With my love of the outdoors I am also open to more adventurous locations if that is your thing. So for weddings, funerals, naming, commitment and renewal of vows ceremonies, give me a call, I'd love to have a chat. I would like to express my heartfelt thanks to Janne who helped celebrate the life of a close friend. Janne brought a quiet sensitivity, compassion and a sense of joy to our farewell. She was professional, warm and empathetic. Janne brought the perfect balance of solemnity and humour to the occasion and was able to read the situation. What impressed me the most was her thoughtfulness and the personal touches she brought to the celebration acknowledging the life of our friend. Janne spent time getting to know my friend and really captured his spirit. When she spoke I felt she truly knew him and that she cared. Janne made this a unique, personalised and individual experience.